Bumble Beads are ideal for institutional use where fragrance beads are used for multiple applications. 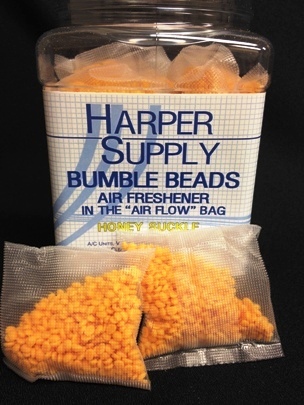 Packaged in a free flow mesh bag, Bumble Beads are easy to use in just about any area. Great for air handlers to dispense a light and breezy fresh fragrance throughout your building or you can use Bumble Beads to eliminate foul odors from cigarettes, pet odors, garbage odors or restroom odors. Conveniently packaged in an air tight resalable container to ensure freshness.